Examinations are meant to determine the eligibility of the candidates for a specific designation. Similarly, in the row of several examinations, we have NET (National Eligibility Criteria) or which can be further termed as NTA NET. NTA NET is an eligibility test for college and university level lectureship. It is also a gateway for Junior Research Fellowship (JRF) to the Indian Nationals. Why is it known as NTA NET? Therefore, on the behalf of University Grants Commission (UGC), a separate body, National Testing Agency (NTA) conducts the examination to check the eligibility for the candidates appearing for Assistant Professor or Junior Research Fellowship (JRF) in Indian Universities and colleges. The history of NTA NET is related to the Central Board of Secondary Examination (CBSE) until 2018. Let us find out how? Until the month of July 2018, the Central Board of Examination (CBSE) has conducted the examination. From December 2018, the examination is going to be conducted by National Test Agency (NTA). The examination is also said to occur twice a year, in online mode. The candidates who clear NTA NET are eligible for the applying in Public Sector Undertakings (PSUs). The PSUs use the scores of individuals to appoint executives in different fields like science (R&D), management, corporate, human resource and finance etc since this year, NET exam pattern has been revised. Therefore, instead of three papers, two papers are required to be answered. The first paper being the General Aptitude is common for all the students. It consists of 50 questions. Similarly, the second paper is the test for the subject which you have applied for with 100 questions. But the question arises, who all can write NTA NET? A minimum of 50% marks has to be acquired in the master’s degree. There will be two papers with a total of 150 questions and with a time limit of 3 hours. The candidates who have scored more than the cut-off marks will be qualified for JRF. The candidates who got selected can appear for JRF, only if they have applied. The NTA NET follows India’s reservation policy with a minimum of 27% for OBC, 15% for SC, 7.5% for SC and 5% fellowships are reserved for the disabled. Talking about the age-limit for NTA NET, the individual who has applied for Assistant Professor has no age limit. If the individual has applied for JRF, he should not be more than 30 years as of 1st July 2018. For reserved category and women, a relaxation of 5 years is provided. Also, a relaxation of 3 years is provided to the candidates having an LLM degree. WHO ARE EXEMPTED FROM NTA NET? The Candidates who have done their Doctorate, in accordance with the GC Regulations 2009 are exempted from the exam. 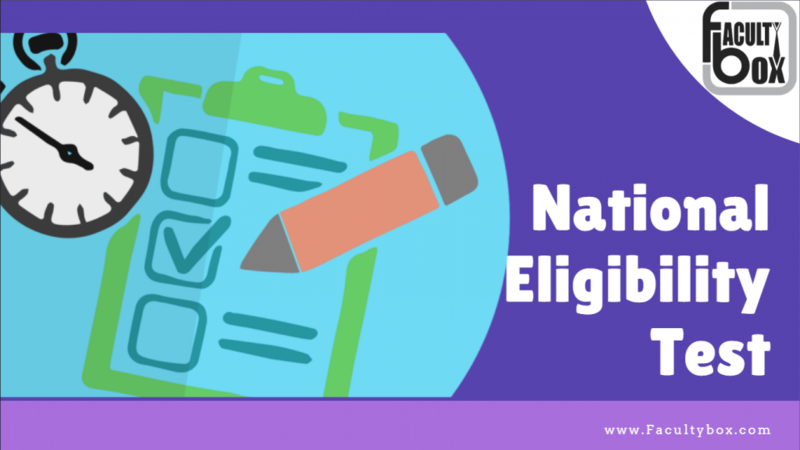 The candidates, who have cleared State Eligibility Examination (SET) on or before 1st June 2001, are exempted from the examination. Having a proper idea about the syllabus. To get a competitive advantage, one has to be thorough with the syllabus. This will give an extra edge to understand the familiar as well as unfamiliar topics. Also, this can be done by downloading the previous year question papers as well. TIME MANAGEMENT: One of the most important skills is time management. Since the NTA NET consist of two papers, so devoting equal time for each is very important. Practice as much as possible, this will help in the exam to understand how much to contribute for each section. PLANNING AND STRATEGIZING It is very important to have a proper scheduling for the subjects. Prepare the schedule and follow it. The planning should be followed by implementation. Once planned, never procrastinate. MAKE NOTES: This is supposed to be one of the best habits while preparing for the exam. When preparing NTA NET, make proper notes and study from it regularly. This avoids confusion. REVISING: Once you revise whatever you have studied, the retention power can be enhanced. Therefore, daily after completion of the studies, one hour has to be devoted exclusively for the revision. PRACTICE MOCK TEST: They say “Practise makes a man perfect”, if an individual practice, he can achieve the goals. Therefore, mock tests are really important, when it comes to having a better clarity. Moreover, it provides confidence to the individual. Following the above steps can help an individual to clear the NTA NET examination. NTA NET 2018 is yet to be conducted. The CBSE has conducted NET 2017 across 91 cities in India. The students were required to attend three papers, in which Paper 1 was common for all. Similarly, Paper 2 & 3 was subject related. This pattern was a bit lengthy, as it had three papers. The students, who have attended NET 2017, rated the question paper from moderate difficulty level to higher difficulty level. Therefore, the revised pattern brought some relief to the student community. Also, there are no negative marks for the examination, so scoring will be a bit fate-based. The NTA NET 2018 has been revised off-late. Now the aspirants have great hope from the examination. Hence, a better clarity should be sorted out before-hand. Because there is a great saying that “It is better to be early than too late”. I am a home maker with BSc, MTM.. Can I give NET?